i packed all my 6-month stuff in a heartbeat that afternoon. im leaving cebu for good. im going back to manila. but instead of heading straight to manila i decided to sidetrip in dumaguete. so i dropped my luggages in a freight company before i, don and ken hit the road. we rushed through the rainy afternoon traffic in downtown cebu that noon. we catched the last trip to dumaguete in the south bus terminal which departed at 5pm. it was raining and dark clouds loomed above. ken was throwing tantrums. he hated thats its not in the itinerary. he was also worried travelling under bad weather moreso crossing the turbulent sea to reach negros. despite the bad weather condition, it was a smooth ride. we arrived in dumaguete minutes past 10. fare was 200 including barge. my good friend markito fetched us in downtown, we took a quick grub, threw our bags in the car then we headed out. it was a friday night. 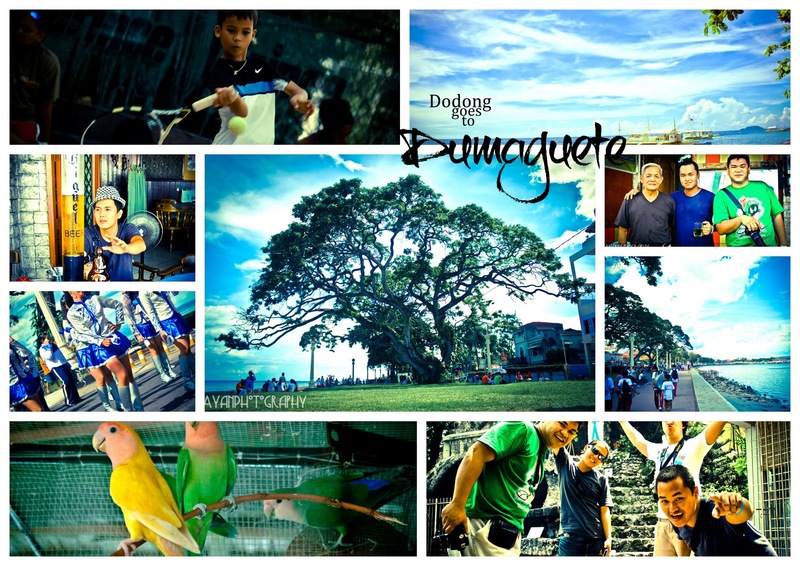 dumaguete is very much unlike other key cities. its clean and laidback. first stop was hayahay. its reggae-themed. i heard its the top night-out destination in the city. beer is cheap at 35 and dumaguete special which is seafoods in white cocomilk sauce was great. then we hopped to zanzibar. crowd was mostly kolehiyalas. forgot the beer price though. then strolled in the strip of bars along the boulevard. it was around 2am and bars were closing down. markito decided to buy some booze then just head out to a beach resort. it was a 20-minute drive to eldorado in dauin. we were subjected to rent a room. 2k. eventhough were only interested to stay at the beach and drink til sun-up. but the heavy drinking and the 5-hour bus ride took its toll and by 4am were cramped up in the double bed wasted. don slept on the floor. don and i woke up early, 8, to shoot around the resort. it is a pretty, small mexican-themed resort. it housed a couple of birds(parrots, lovebirds etc) a pool and a beach that has siquijor and apo island as backdrop. around 11am we hit the city. markito toured us around. siliman etc. we ate at this karinderya which serves damn good lutong bahay bisaya. paklay, lechon etc. very good and cheap. we then headed out to buglasan festival. we pretty much strolled all the city streets. we went to the boulevard that noon. secured a table in one of the bars fronting the boulevard were the festival parade passed through. no better way to catch the festivities with a camera in your right and a pint of ice-cold beer in your left. though i disagree with the beer at first since were still nursing our hangovers but markito just cant be stopped. were leavin that same noon for bacolod so markito pulled out that one-for-the-road punchline. with the alcohol in our systems, we then watched the tennis city-meet finals. his nephew was playing. we cheered. nephew won. around 5pm. markito dropped us at the bus terminal for bacolod.